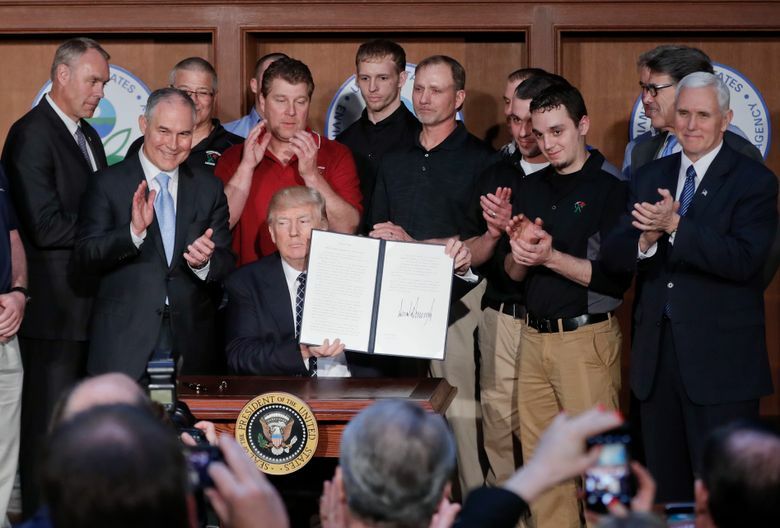 WASHINGTON — Declaring an end to what he’s called “the war on coal,” President Donald Trump signed an executive order Tuesday that eliminates numerous restrictions on fossil fuel production, breaking with leaders across the globe who have embraced cleaner energy sources. 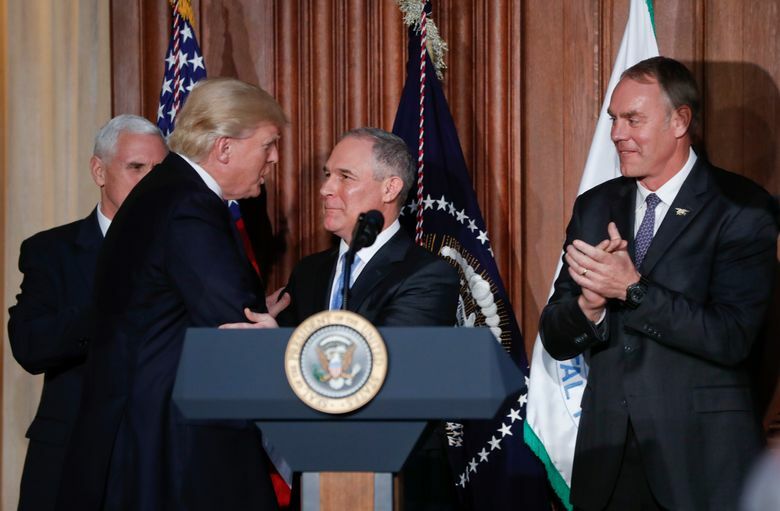 The order makes good on Trump’s campaign pledge to unravel former President Barack Obama’s efforts to curb global warming, eliminating nearly a dozen measures in an effort to boost domestic energy production, especially oil, natural gas and coal. Environmental activists, including former Vice President Al Gore, denounced the plan. But Trump said the effort would spark “a new energy revolution” and lead to “unbelievable” American prosperity. 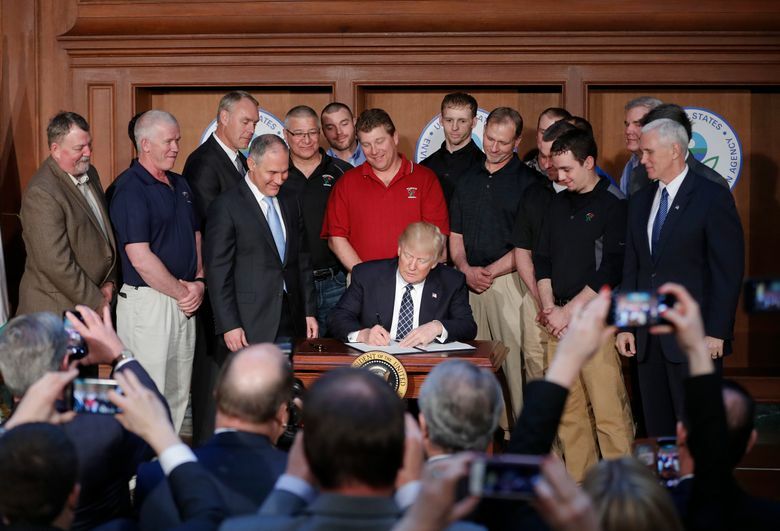 “That is what this is all about: bringing back our jobs, bringing back our dreams and making America wealthy again,” Trump said during a signing ceremony at the Environmental Protection Agency headquarters, where he was flanked on stage by more than a dozen coal miners. Throughout the election, Trump accused the former president of waging “a war” against coal as he campaigned in economically depressed swaths of states like West Virginia, Pennsylvania and Ohio. The latest from Washington, D.C.
Joe Biden is leading the polls. But his other presidential bids were disasters. But Trump’s promise runs counter to market forces, including U.S. utilities converting coal-fired power plants to cheaper, cleaner-burning natural gas. And Democrats, environmental groups and scientists said the executive order ignores the realities of climate change. “There is much our nation can do to address the risks that climate change poses to human health and safety, but disregarding scientific evidence puts our communities in danger,” said Rush Holt, chief executive officer of the American Association for the Advancement of Science, the nation’s largest general scientific society. California Gov. Jerry Brown was more blunt. 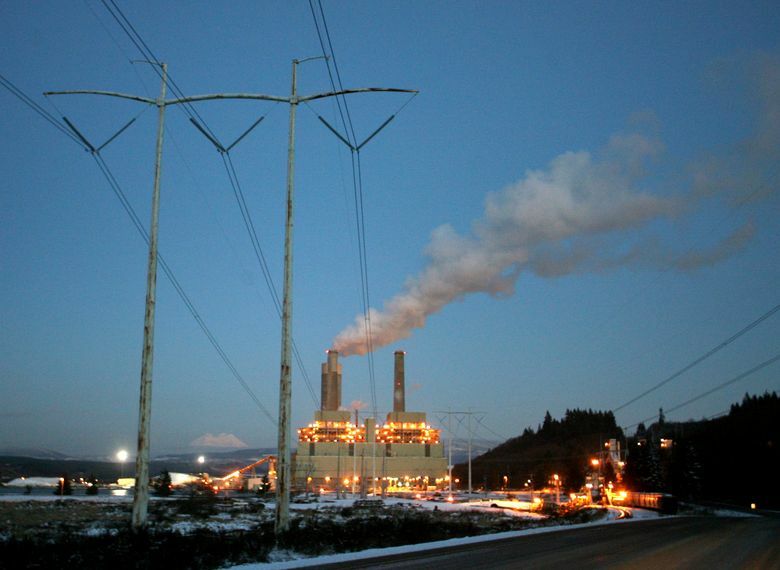 “Gutting the Clean Power Plan is a colossal mistake and defies science itself. Erasing climate change may take place in Donald Trump’s mind, but nowhere else,” Brown said. While Republicans have blamed Obama-era environmental regulations for the loss of coal jobs, federal data shows that U.S. mines have been shedding jobs for decades under presidents from both parties as a result of increasing automation and competition from natural gas. Another factor is the plummeting cost of solar panels and wind turbines, which now can produce emissions-free electricity cheaper than burning coal. According to an Energy Department analysis released in January, coal mining now accounts for fewer than 75,000 U.S. jobs. By contrast, renewable energy — including wind, solar and biofuels — now accounts for more than 650,000 U.S. jobs. Ocean acidification threatens to scramble marine life on a scale almost too big to fathom. Read and watch the Seattle Times special report "Sea Change: The Pacific's Perilous Turn." Read more. Trump’s order initiates a review of the Clean Power Plan, which restricts greenhouse gas emissions at coal-fired power plants. The regulation — Obama’s signature effort to curb carbon emissions — has been the subject of long-running legal challenges by Republican-led states and those who profit from burning oil, coal and gas. The order also lifts a 14-month-old moratorium on new coal leases on federal lands. The Obama administration had imposed a three-year moratorium on new federal coal leases in January 2016, arguing that the $1 billion-a-year program must be modernized to ensure a fair financial return to taxpayers and address climate change. 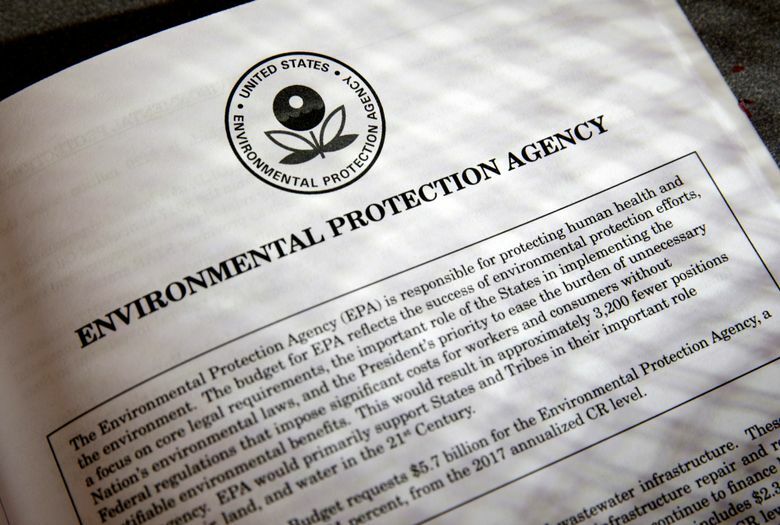 The order covers a range of other Obama-era rules, including repeal of measures to consider the “social cost” of carbon emissions in all regulatory actions and crack down on methane emissions at oil and gas wells. The rule also eliminates an Obama-era rule restricting fracking on public lands and a separate rule that requires energy companies to provide data on methane emissions at oil and gas operations. In all cases, business groups had complained to Trump — a self-celebrated business tycoon — that the rules were overly burdensome and expensive. 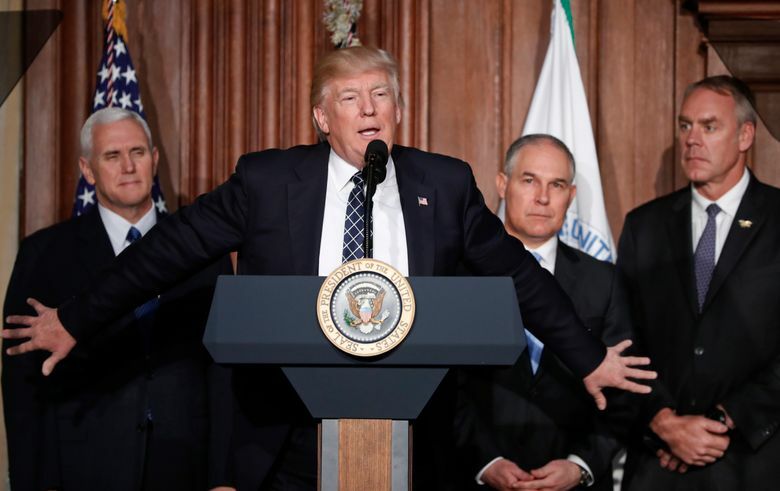 Rewriting the Clean Power Plan and other regulations is likely to take years to complete and will face legal challenges from environmental groups and Democratic-leaning states such as California and New York. 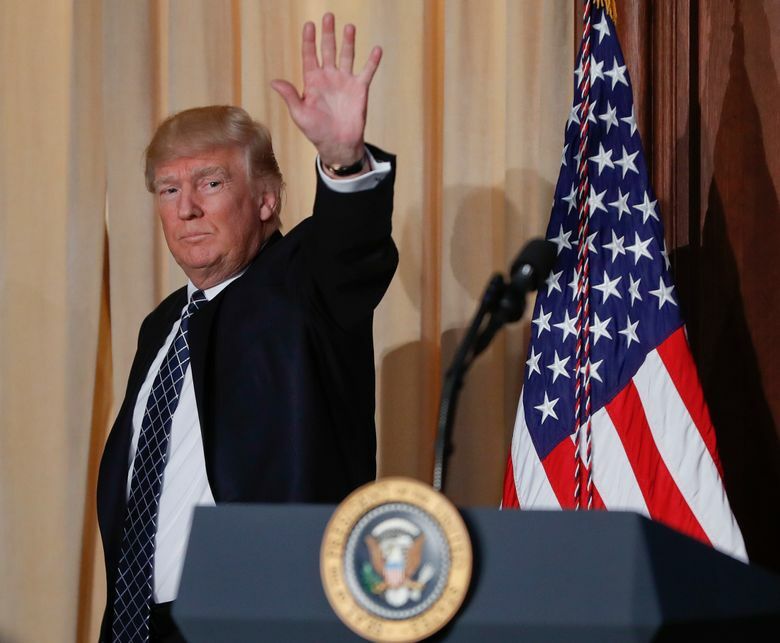 A coalition of 16 states and the District of Columbia said they will oppose any effort by the Trump administration to withdraw the Clean Power Plan or seek dismissal of a pending legal case before a federal appeals court in Washington. Brown said in an interview he is confident the Obama-era rule will be upheld in court. “Climate change is real and is a great threat that cannot be ignored,” Brown said. The Trump administration has yet to decide whether it intends to withdraw from the international climate agreement signed in Paris, which sets ambitious goals to reduce carbon pollution. Trump’s order could make it more difficult, though not impossible, for the U.S. to achieve its carbon reduction goals. Trump has called global warming a “hoax” invented by the Chinese, and insisted he would protect clean air and water while boosting energy jobs. Pruitt alarmed environmental groups and scientists earlier this month when he said he does not believe carbon dioxide is a primary contributor to global warming. The overwhelming majority of peer-reviewed studies and climate scientists agree the planet is warming, mostly due to man-made sources, including carbon dioxide, methane, halocarbons and nitrogen oxide. Associated Press writer Michael Biesecker contributed to this report.